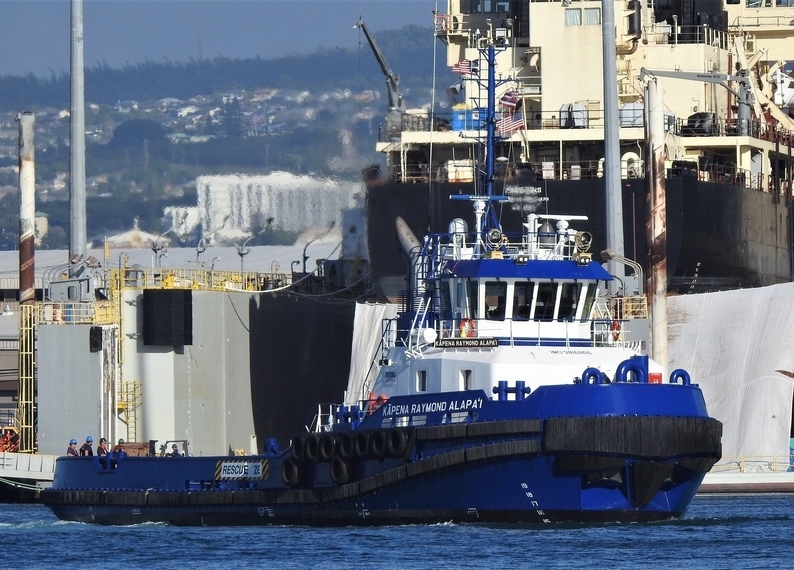 Built in 2018, by Conrad Shipyard of Morgan City, Louisiana (hull# C-1161) as the Kapena Raymond Alapa'i for Young Brothers Incorporated of Honolulu, Hawaii. A subsidiary of Foss Marine Holdings of Seattle, Washington. 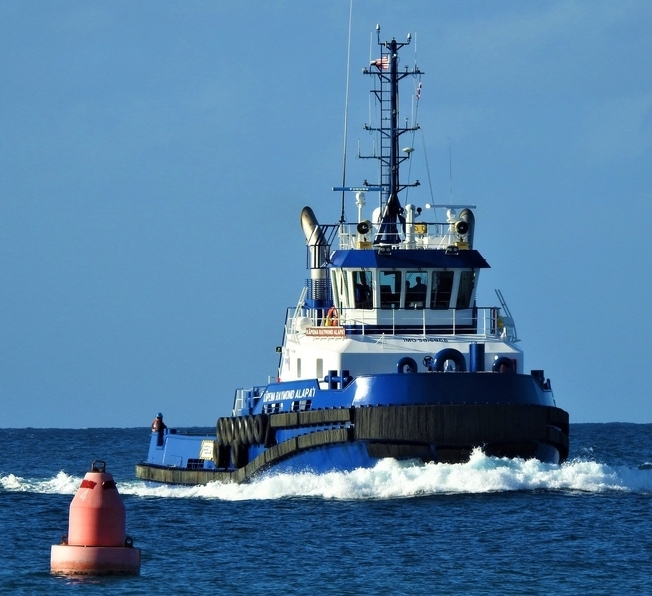 The tug is a Damen Stan 3711 design, she was the second Kapena class tug for Young Brothers Incorporated. The Kapena class, or Captain class, is named for the Hawaiian word for "Captain," and naming each of the four tugs in the class after former Captains. 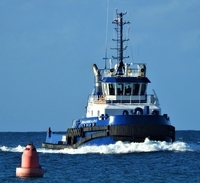 Powered by two, Tier IV compliant, General Electric 8L250MDC diesel engines. Turning two, four-bladed fixed pitch propellers. Mounted in Kort nozzles, for a rated 6,000 horsepower.